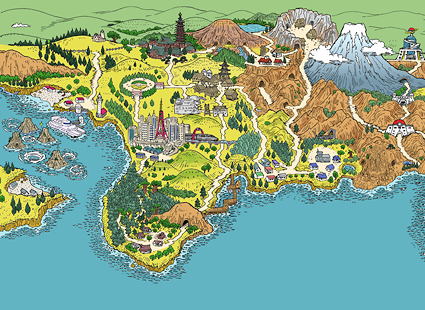 Remember the second generation of Pokémon gaming, a little land buy the name of Johto; well for now this land is lost. Their is no connection from today’s current line-up of Pokémon games, Diamond and Pearl, to the second generation games. Will we ever see this land again? Well I’m thinking that the the next will be remakes of Silver and Gold, but I know there will be a Pokémon Game featuring Giratini as it’s mascot. Every portable Nintendo console has seen more than two Pokémon, Their is another Pokémon coming for the DS. And precedence have been set that forces all Pokémon of the same system to be completely compatible, which means the next Pokémon game can’t add any pokémon to the Pokédex. Another precedence is that version mascots and certain other pokémon cannot be both catchable and obtainable from a previous generation game even if they take place in the same region. Example: Articuno, Zapdos, Moltres were not present in generation 2 games even though their respective region was present. It a safe bet that you wont see Raikou, Entei, Suicune, Regirock, Regice, Registeel, Kyogre, Groudon, Rayquaza in a game as both obtainable and transferable from a previous generation, simply because it wouldn’t make much sense. These rule mean that we can’t have another remake of Ruby, Sapphire, FireRed, LeafGreen, and Emerald. Every portable system has seen more than two games. So what are the options? Well one could be the version mascot would be Arceus, but Arceus plays the same role as Celebi, Mew, and Deoxys, in that Arceus is to be unobtainable outside a Nintendo event for eternity. The other option would to have a legendary pokémon that is currently obtainable in the same generation be the mascot like they did with Suicune for crystal, which is allowed by current precedent. The options are Uxie, Mesprit, Azelf, Regigigas Giratina, Cresselia, Phione, Manaphy, Darkrai, Shaymin. Uxie, Mesprit, or Azelf couldn’t be be the mascot because they are all equal according to the Arceus ledgend. Regigigas, wouldn’t make sense because of his current relationship with last generations Pokémon. He reanimates when all Regi-Pokémon are present, so Regirock, Regice, Registeel must be in the game for him to be unlocked, but that would mean the legendaries would be, obtainable and transferable which is “against the rules.” Next would be Phione or Manaphy, but having these would be a slap in the face to those who obtained these the hard way. Shaymin is yet to be obtainable, but no one would want that kick’um-fuzzball as their versions mascot.I doubt much of a storyline could come from Cresselia. The next options are Darkrai(the Pitch-Black Pokémon), and Giratina(the Renegade Pokémon). Darkrai doesn’t seem like it would fall in line with the who space and time dealie that Heonn story. but Giratina does. Giratina’s head and eyes resemble those of Palkia and Dialga, possable suggesting that they are related. His Pokédex description is as follows: “A Pokémon that is said to live in a world on the reverse side of ours. It appears in an ancient cemetery.” So basically he reject the universe as Palkia and Dialga have structures it. Now that’s a setup for a storyline if I’ve ever heard one. The Giratina’s shiny form is a complete inverse of the common Giratina, I would prefer that Nintendo choose that just to distinguish it from the one in Pearl and Diamond. Team Galactic has problems when the Palkia and Dialga they have captured go out of control, you must capture Giratina to stop Palkia and Dialga, or the universe will be destroyed. But would that be enough of a refresher to keep Pokémon fans happy, I really don’t think so, but it possible, and if Nintendo plans to only make one game for this handheld generation, this is really the only option. But I think Nintendo will try to milk as many games as they can get. One more wouldn’t be enough. Lugia and Ho-oh are the only Pokémon that were once legitimately obtainable outside a Nintendo event, that are now no longer obtainable the way they once were, they are the only other option outside Giratina. Johto is the only logical next step. We can’t have another Ruby, Sapphire, FireRed, LeafGreen, and Emerald. And Johto already host the only other available version mascots. The concept of Johto starters returning makes sense, the only way to get Chikorita, Cyndaquil, and Totodile and their respective evolutions is to get one of them in Emeraldas a reward from Professor Birch for completing the Hoenn Pokédex then transferring them to the current generation. The main problem is the that the Kanto region and the Elite Four. Gold, Silver, and Crystal all featured the Kanto region with out legendaries and certain changes. I doubt we will have another yet another version of Kanto, because LeafGreen and FireRed are still selling. Nintendo wouldn’t wont to build a game that they already made and are still selling, they only were able to get away with it for Silver and Gold was all the new Pokémon and unseen areas. It’s just as likely they would create a new elite four and areas. What could go along with Johto can only be speculated. The the final four be from the Orange League? Professor Ivy? A whole new area? 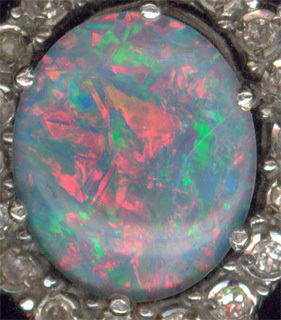 Giratini sounds like Giraso which is “an opal that reflects light in a bright luminous glow”. Like Ruby, Sapphire, Emerald, Pearl, and Diamond, Opal is a Gemstone. Coincidence, I think not. 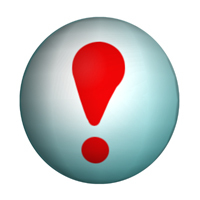 That is definitely a sign that Nintendo plans to make another fourth generation game. I think we will see something similar to the GBA generation in the fourth generation. 5 games in the same order: two original games(Pokémon Ruby/Sapphire and Pokémon Diamond/Perl), two remakes(FireRed/LeafGreen and DawnSilver/DuskGold) and an enhanced original(Emerald and Opal). 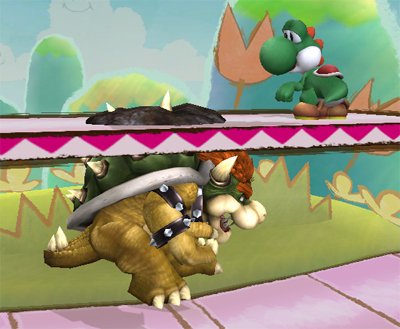 Today The DOJO website was updated with an Animal Crossing item called a Pitfall. Plant the pitfall, then wait for an unexpecting victim to fall in it. After the fall, they will become stuck, thats when you attack. 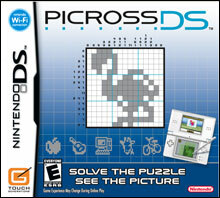 Today, Nintendo released Picross for the Nintendo DS. July 30, 2007 – Puzzle lovers, drop your newspapers. With today’s release of Picross DS™, Nintendo gives daily brain teasers a wireless jolt. Who needs inky fingers and eraser crumbs when players can use their hand-held Nintendo DS™ and stylus to solve a new type of challenging grid puzzle? 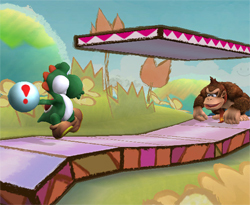 Players can compete with others online or create their own puzzles to share. Picross DS is a remarkable mix of crossword and sudoku dynamics. Every Picross puzzle features an image hidden beneath a grid of numbered squares. Using simple logic, players reveal the hidden picture by decoding the number sequences in each column and row. 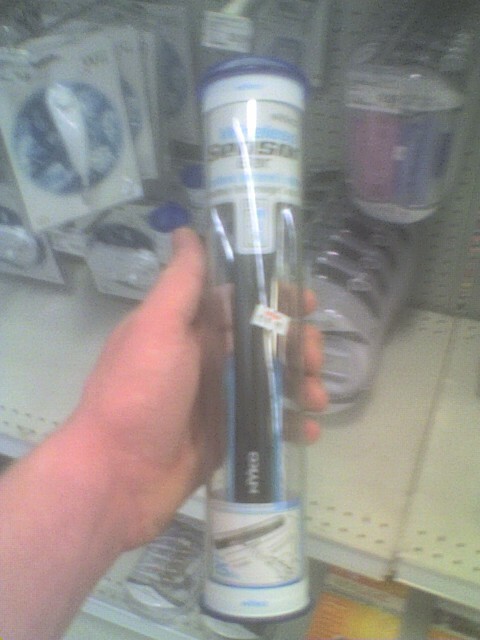 Everyday puzzle fanatics will love using the Nintendo DS stylus like a high-powered pencil to write, draw, select and solve. In the game’s Daily Picross mode, players can track their progress over time, opening up new activities as their skills increase. Race the clock to solve puzzles quickly or deduce errors in a filled grid. Switch over to My Picross mode and design custom puzzles or convert hand-drawn pictures into challenging Picross DS grids. Want to network with other puzzle lovers? Link up wirelessly with other local players to exchange puzzles and host multiplayer matches. 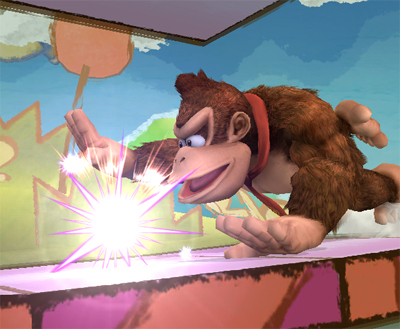 Nintendo® Wi-Fi Connection also enables players to download exciting new puzzle packs, upload their own Picross DS creations, or compete in head-to-head puzzle-solving races. Picross DS is the latest addition to Nintendo’s growing Touch Generations series, which includes games such as Brain Age™: Train Your Brain In Minutes A Day, Nintendogs™ and Planet Puzzle League™. With combined sales of 6.5 million in the United States alone, Touch Generations titles continue to make video games a more broadly inclusive medium, attracting players of all ages, backgrounds and experience levels. For more information about the game, visit www.PicrossDS.com. 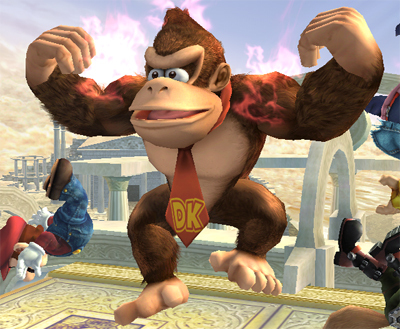 At 3 A.M. today The DOJO updated their site with Donkey Kong’s Final Smash. 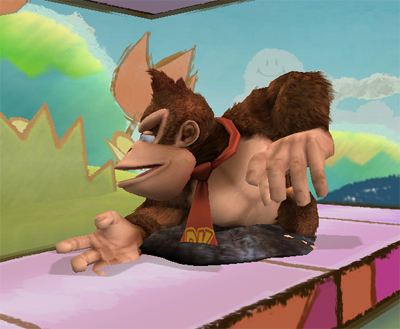 His Final Smash is called Konga Beat. 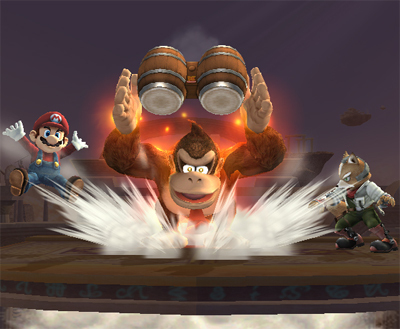 That’s right Donkey Kong whips out his bongo’s and starts Jammin’. It appears that the move makes him grow in size. 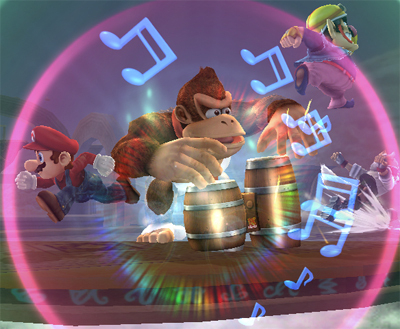 Donkey kong is invincible during his attack, so take your time and jam to the tunes. The Virtual Console™ is like a box of chocolates: You never know which games have the tasty caramel filling and which ones have that pink-green crème inside. Whatever your preference, we’ve got you covered with this weeks release of Star Soldier, Dynamite Headdy and Drop Off. Read on and savor the delicious centers of these classic treats. Star Soldier (NES®, 1 player, Rated E for Everyone – Mild Fantasy Violence, 500 Wii Points): The standard for vertically scrolling shooters, Star Soldier is the original game that spawned all of the titles in the long-running Soldier series. Go inside a floating space station inhabited by a giant computer known as Starbrain. Your mission: to stop Starbrain’s galactic invasion by piloting Caesar, a new, compact space fighter through 16 deadly stages. Collect power capsules to increase three different attributes of your ship: firepower, movement speed and defensive shields. Blast wave after wave of approaching enemies or use the innovative Trap Zone feature to fly beneath a land mass and avoid incoming fire. Conquer each stage to make your way to the final confrontation with Starbrain. Dynamite Headdy™ (Sega Genesis, 1 player, Rated E for Everyone – Comic Mischief, 800 Wii Points): Headdy, a toy with a detachable head, arrives in North Town to find that the evil puppet king Dark Demon is causing serious problems. Dark Demon is gathering up all the puppets in town and turning some into his own evil minions, while eliminating the rest of the puppets that aren’t good enough to join his legions. Headdy is captured and is targeted for the incinerator, but escapes in the nick of time. Now he’s got to save the town. To do so, Headdy has to take on all manner of bad guys and even has to contend with his lifelong nemesis, Trouble Bruin the bear. Can Headdy overcome all his foes and take down Dark Demon? Drop Off (TurboGrafx16, 1 player, Rated E for Everyone, 600 Wii Points): Brave five rounds of haunting, nightmarish dreams in this take on the classic arcade puzzler. To save his dearly beloved from the malicious demon that controls her dreams and holds her captive, our brave hero plunges himself into the nightmare to vanquish this evil foe. Deftly use the arrow items and control the angle of the ball to shatter the blocks that descend from the top of the screen. Set your sights on the joints holding the blocks together and knock off multiple blocks in one exhilarating blow. As you drop more and more blocks, their shapes will change, allowing you to earn bonus points. You must use your concentration and reflexes to defeat the demon and save your beloved. 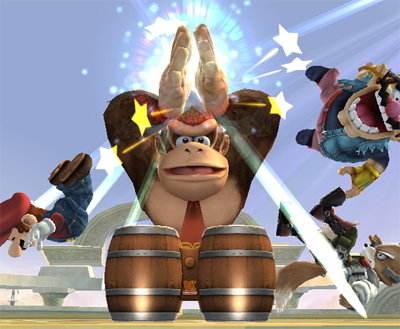 For a long time, Nintendo has had an offer called “Three for Free”. If you have 3 registered products on Nintendo’s website, you would get three issues of Nintendo Power, But for some reason they are stopping that promotion, Who know maybe we will see something closer to Japans reward system. I am wondering one thing, Nintendo will most likely have a new offer. If I register my stuff right now, will I still have a change to get the new goodies, or would I have to register after the new offer is made. Chesterfield Township, Mi 48051, to get Animal Crossing: Wild World, It took 2 hours to get it, they didn’t have anyone near the locked up games, they didn’t have the keys, they didn’t know the prices of the games, not one DS game had a price tag on it. 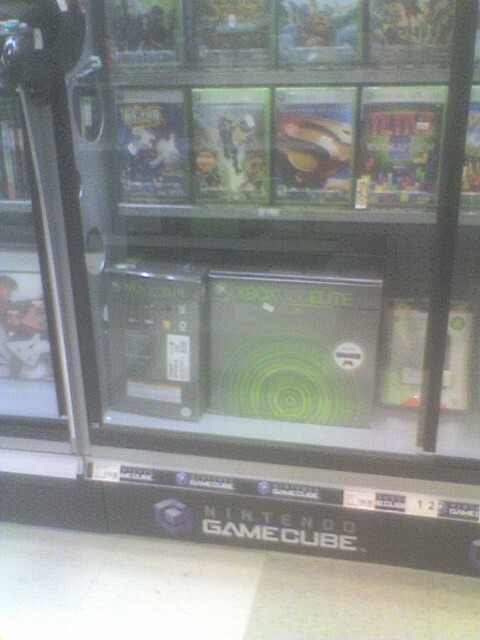 and I could even but the game near the gaming register, they had to bring it up to customer service center. Anyways back to my Target trip. Not much to talk about. 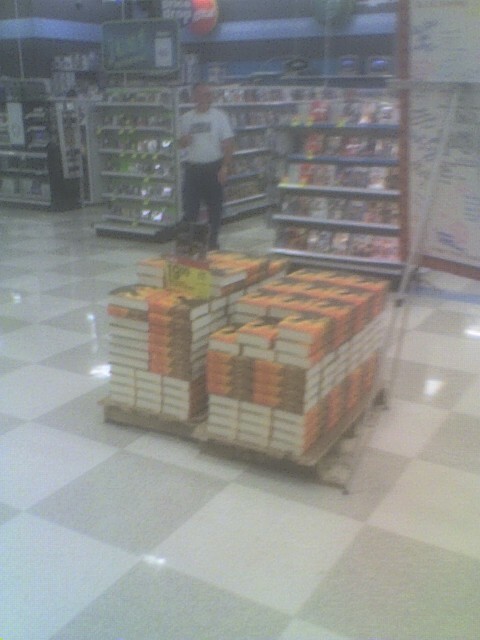 Stacks of the new Harry Potter books were laying in the middle of the isle. I did see Niko’s wireless Wii sensor bar, I’m going to get one eventually, but for right now I don’t need it. One of my pleasant little sightings was three Xbox 360 elites. I haven’t been able to find them for sale since their launch. I wold have probably bought one if I had the money on me at the time, any ways apparently Microsoft is making more of an effort than they did initially by shipping more than did at the new models launch. I picked up the Wired with the Wii Cake on the cover; I was kind of upset because very little instructions were given, Below is the entire article. Yesterday LucasArts confirmed that they are working on a LEGO Indiana Jones game. Well now here’s the Trailer released at Comic-Con 07. It looks pretty cool, I’m not sure if I would ever buy it, I’ll have to see some game play footage. Frank Gibeau has stated, During Today’s Electronic Arts shareholder meeting, that The Godfather 2 is currently in-development. It hasn’t been stated which systems the game will be coming out to, but I can say confidently that the game with come out for the Xbox 360 and PS3, and if the game comes out for the PS2 then it will most likely also make it to the Wii. No date or really any other information was given.